Search for more about science and education. What do you need metric conversion for? Science projects seem more authoritative when the units used are metric units, such as grams, milliliters, and degrees Celsius. You can do good backyard science with inches and ounces, but when you show your work in a science fair, metric conversion will show that you understand the importance of these units to scientists. Thanks to the internet, you have a variety of conversion calculators available at your fingertips. There are numerous websites that will perform the math for you when you simply type in the number and unit you want converted. I use onlineconversion.com for any conversion table I need. If money is important to you, it even as a section for currency and other financial conversions. You can also find free downloadable programs that will do unit conversions for you as well. However, it is best for you to have an idea of what they mean. The metric system is ideally suited to scientific pursuits because in it everything is based on 10's and powers of 10. This makes the math within the experiment easy. For instance, if you need to go from centimeters to meters, you simply multiply by 100. In addition, the units for weight, actually mass, and volume are related to each other. 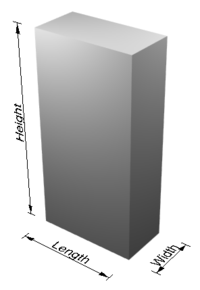 A gram of liquid water takes up the space of a cube that is a centimeter on each side. This cubic centimeter is also known as a milliliter, or one one-thousandth of a liter. When you become familiar with the sizes of these units, you will be able to make estimations in metric units. Being able to estimate them will help you judge whether you've done your unit conversions properly. At least that's what some people think. Do you think math helps us to understand our world? Succeed at work? Use a computer? You bet. That reminds me, it can help make you a better gambler if you're so inclined. What's the most important thing math helps you with? It's easy to do. Just type!...no registration or login required. Do you have one of these to add? Great idea! Click the button and find it on your computer. Then select it. Only .jpg's work here. If you choose to do the math yourself instead of using an online metric conversion program, you only need to multiply by the conversion factor for the units you wish to convert. For instance, if you wish to convert from inches to centimeters, you need to multiply the number of inches by 2.54 to find the same length in centimetres. An imperial fluid ounce is equal to 28.413 milliliters, while a US fluid ounce is slightly larger, 29.573 mL. To express your volume in metric units, simply multiply the number of fluid ounces you have by 28.413 (or 29.573) and use millilitres for your unit. In imperial or American units, mass is usually expressed in pounds or ounces. An ounce is one sixteenth of a pound. To convert these ounces to metric units, multiply the number of ounces by 28.35 in order to get grams. You can also convert temperatures to metric units. 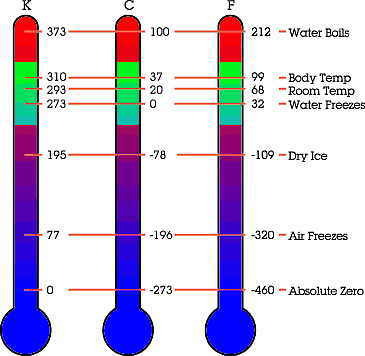 The Celsius scale sets 0 degrees as the freezing point of water, and 100 degrees at the boiling point of water. Since zero occurs at a different place on these two scales, there is more math involved in making this conversion. To convert a Fahrenheit temperature to Celsius, you first must subtract 32 from the Fahrenheit temperature. Then multiply this number by five-ninths, or by 0.556. Metric conversion doesn't have to be a mystery to you. Everyone who likes learning science or engineering needs to have an understanding of these units, and with practice, that understanding will be a reality. Navigate back from Metric Conversion to the Image Satellite Weather page now. Or go visit the Stuff in the Air homepage. Looking forward to College? OR have any school, math or science experiences you need to tell the world? Go ahead: Have your Say about it.